I bought a 3 Week BritRail Pass (The United Kingdom is not on the Eurail Pass) and hopped on the London to Edinburgh Express (a 5 hour express train). 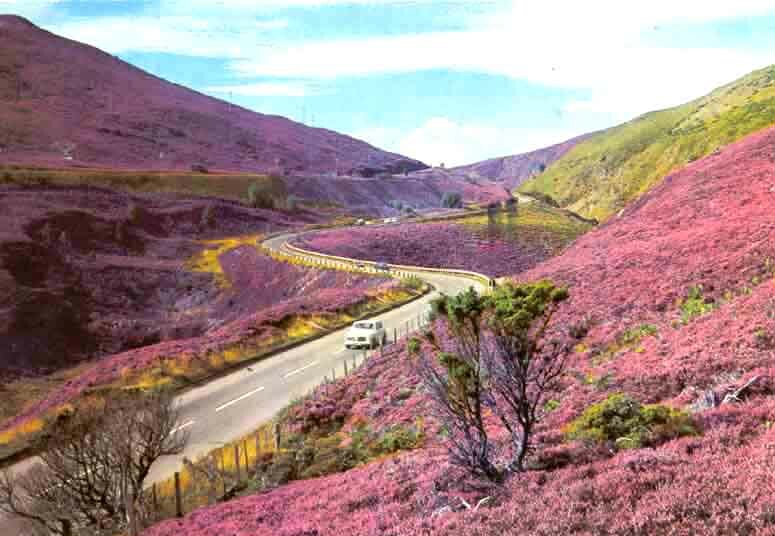 Its a beautiful scenic ride showing the rolling meadows and hills of England. I met an elderly Scottish couple who were very nice. After about 2 hours conversation the lady got up, looked at me, and said "lets go down to the buffy". I was speechless. I couldn't for the life of me figure out why she wanted to take me to the toilet with her. Then the husband told me it was the buffet, the dining car. I said "Oh" and we all laughed. We had a very good dinner with all the fixings and a splendid bottle of red wine. The couple insisted on paying for everything and told me "We're going to show you what Scottish Hospitality is all about!". How could I refuse? Edinburgh is a fascinating city with lots of history. The locals are exceptionally friendly and they'll make you glad you came for a visit. 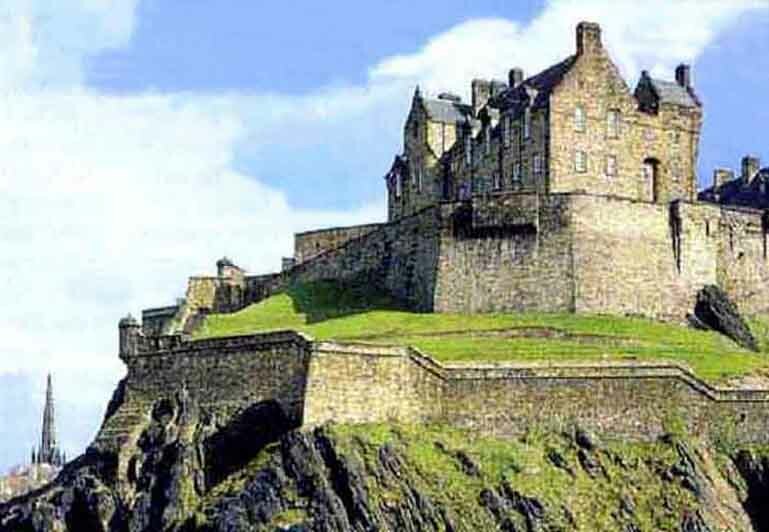 Edinburgh Castle is a must see. High Street is the center of "Old Town". I went on a "Ghost and Ghoul Walk". The guide gave a fascinating account of the life and times of Old Edinburgh with witches and witch hunters, grave robbers, blue coats (beggars), the Scottish (Roman) Wall, the hardships of early times, the lack of sanitation, the plague, and of course Deacon Brody being the first to succumb to his own invention (the hangman's trapdoor). Take this walk if you get a chance. Its a lot of fun! Inverness is a beautiful city to the north of Edinburgh. The Castle is really neat. Its on a hill. I was there at night with a quarter moon and the stars. It was surrealisticly beautiful. 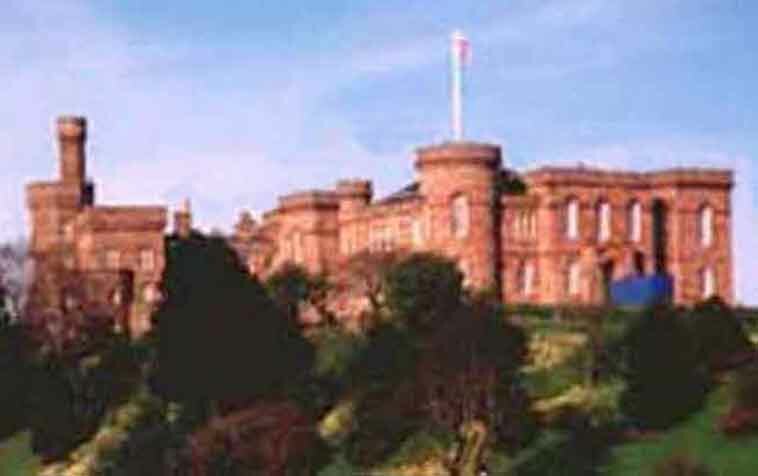 Take the Loch Ness Walking Tour. You'll get up into the beautiful heathers surrounding Loch Ness. Hit the Pubs. You'll love the variety of tap brews. From Inverness I took the train west to Kyle of Lockalsh where I caught the ferry to Isle of Skye. Isle of Skye is huge. Buses will take you to various parts of the island. I just spent the day, so I took a bus south to where I caught another ferry to Mallaig. The train ride from Mallaig to Fort William is a very beautiful ride through the Highlands. I should have stopped at Fort William, but I felt I was on a tight schedule.